Throughout CAIR's history, the group has embraced individuals who have had ties to various terrorist organizations, people like Hamas leader Mousa Abu Marzook and Muslim Brotherhood leader Yusuf al-Qaradawi. This month, CAIR has continued its nefarious tradition, as its Florida chapter featured as a speaker for its annual banquet Kifah Mustapha, someone who the U.S. government has named a party to Hamas financing. In November 2008, a federal jury found the Holy Land Foundation for Relief and Development (HLF) and five of its leaders guilty of "providing material support and resources to a terrorist organization." That organization was Hamas, and the money raised for it by HLF was in the millions. HLF was shut down by the FBI in December 2001. Besides the five persons found guilty in the HLF trial, the U.S. Justice Department listed a number of other individuals who had been considered involved in the conspiracy but who the government chose not to indict ("unindicted co-conspirators"). One of these co-conspirators was an imam from Chicago named Kifah Mustapha. At the time of the trial, Mustapha was an imam at the Mosque Foundation, a Chicago-area mosque, itself a hub for Palestinian terror-related activity. The mosque held fundraisers for different terrorist conduits, including Palestinian Islamic Jihad (PIJ) co-founder Sami al-Arian and HLF. Mustapha is still an imam at the mosque. He is also the mosque's associate director. 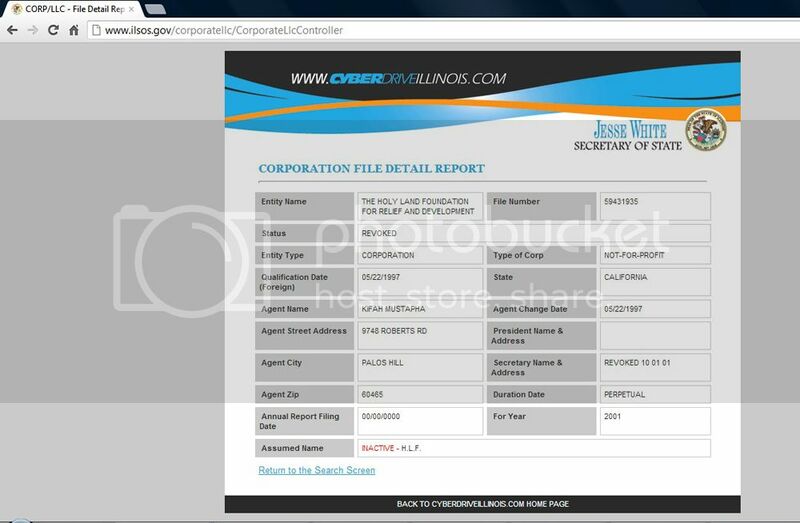 As well, at the time of the trial, Mustapha was listed as the Registered Agent of the Illinois corporation of HLF, as he still is today. None of this phased CAIR, since the group seemed more than happy to have Mustapha participate at its 12th annual South Florida banquet held on October 6th. Though, the Chicago chapter of CAIR has had Mustapha participate at a number of its functions, including joint events with the Mosque Foundation. One would think that CAIR would be concerned about its group featuring someone named in a Hamas fundraising trial to help raise money at its annual banquet. What kind of message does that send to the community, both Muslim and non-Muslim alike? But the truth is that CAIR was also named a co-conspirator in that trial. CAIR told people on the homepage of its official website to donate money to HLF. Indeed, CAIR itself was founded by operatives from Hamas, one of which, Rafiq Jaber, has acted as president and spokesman of the Mosque Foundation. CAIR and the Mosque Foundation have close relations, so for the group to invite Kifah Mustapha to give a speech at its banquet – while it is entirely unethical and yet another reason for CAIR to be shunned by all – makes perfect sense. 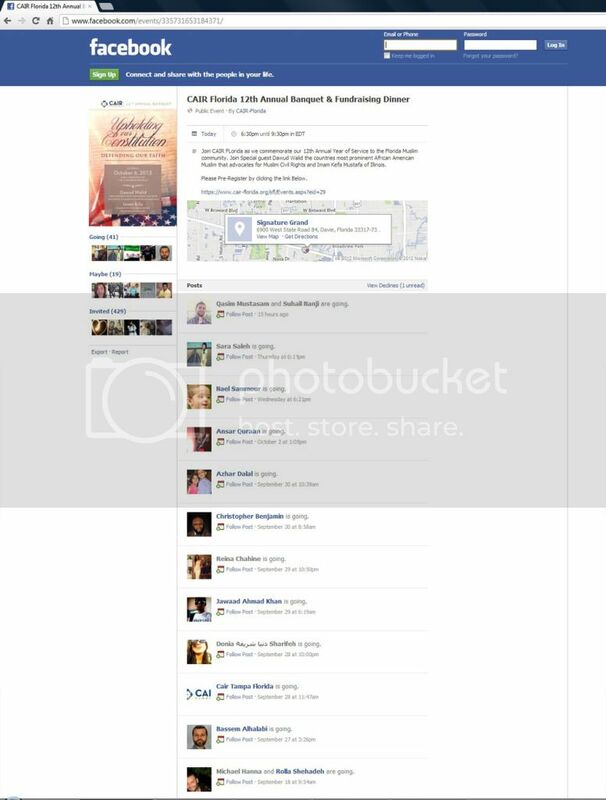 Additionally, according to CAIR-Florida's Facebook page, one of the attendees to the banquet was Bassem Alhalabi, a director of a radical mosque in Boca Raton who is a former associate of Sami al-Arian and who, in June 2003, was found guilty of illegally shipping military equipment to Syria by the U.S. Commerce Department. There's a rationale for why CAIR attracts extremists to participate in and attend its events. Terror follows terror, and those who support it do the same.